At a recent launch in Rome for his new book Witness to Mercy, the Cardinal complained of those who want to close off dialogue on certain issues as if they were settled forever. In his book, released to coincide with the opening of the synod, the Cardinal deals with a number of hot-button issues, such as homosexuality. “For me, this inclination is a question mark: it does not reflect the original design of God and yet it is a reality, because you are born gay,” he says in the book. Kasper advocates a more holistic approach to theology, while lamenting what he terms “a certain fundamentalism” in the Church. “You take one line of the Gospel and this becomes an ideology to support your case,” he said. 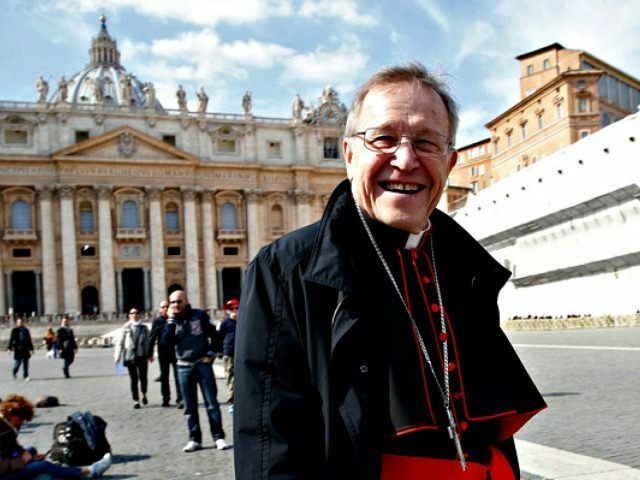 Cardinal Kasper became a lightning rod for both progressives and conservatives during last year’s preparatory synod, especially because of his widely reported proposal of a case-by-case evaluation of which divorced and remarried Catholics should be admitted to Holy Communion. While rallying progressives, especially some of his German confreres, he dismayed conservatives, who accused him of too easily tossing out Catholic teaching on the indissolubility of marriage out of a false pastoral compassion. He also incited the ire of the conservative African bishops by suggesting that they shouldn’t be dictating the issues to be discussed in the synod hall. Kasper got himself into hot water when he seemed to write off the African bishops’ concerns as somehow peripheral to the real synod discussions, or as unworthy of serious consideration. Kasper later tried to distance himself from his statements, going so far as to deny he ever said them, until Vatican journalist Edward Pentin produced a voice recording of Kasper’s remarks and posted it online. Kasper’s remarks sparked an outcry, which included accusations of racism and xenophobia, as well as demands that the German cardinal apologize for his dismissive remarks about African bishops. These disputes will no doubt rise again, as the African bishops have also been preparing for the synod, vowing to resist western secularism and its fixation with homosexuality and family planning issues to the exclusion of topics of real concern to the Church in Africa. The Cardinal also asserts that “in recent decades,” the Church has become “too doctrinalistic and juridically minded” and needs to focus more on mercy. In an interview with the Italian daily Corriere della Sera, Kasper compared Jesus’ words on marriage to the Genesis account of the creation of the world, accusing those who take Jesus’ words on marriage and adultery at face value of “fundamentalism,” like those who still believe the world was created in six days. “In Matthew there is the ‘porneia’ clause about illicit unions, or adultery, which can justify divorce. There is also an exception in the first letter to the Corinthians, and Paul speaks with apostolic authority. In the first communities there are different practices and flexibility,” he said.